On the eve of a meeting between Mexico’s President Peña Nieto and American officials, Mexican officials emphatically rejected the latest Trump administration immigration proposal. 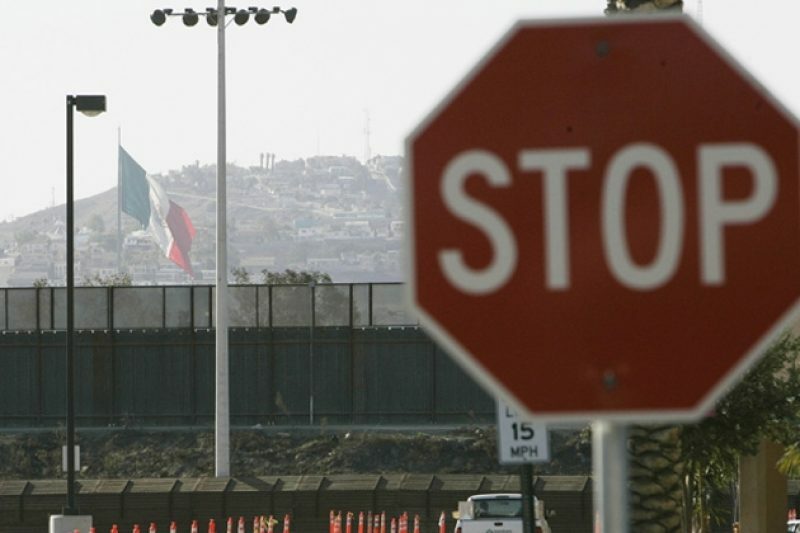 Mexican officials have flatly rejected the Trump administration’s plan to deport to Mexico migrants caught illegally crossing the U.S. southern border, regardless of nationality. On the eve of a high-level meeting between the two countries, Mexican officials said Mexico will never accept the return of Guatemalans, Salvadorans, Hondurans and others who traveled through the country on their way to the United States, most often to ask for asylum here. The idea of deporting non-Mexicans to Mexico as long as they entered the U.S. from that country is a never-implemented provision in American immigration law. A pair of memos signed by John Kelly, the secretary of homeland security, said the Trump administration plans to use the law. Multiple immigration lawyers said they either had never heard of the provision being used, or they had only seen it used with citizens of Mexico. The Mexican official said his country learned about the proposal when the Kelly memos were disclosed by McClatchy and other media outlets over the weekend. “As of Tuesday evening there is nothing communicated to us officially other than what we’ve seen published,” the Mexican official said. He acknowledged that the Mexican government had received “hints” recently the Trump administration was considering such an approach. Secretary of Homeland Security John Kelly — who bears ultimate responsibility over this immigration plan — and Secretary of State Rex Tillerson will meet on Thursday in Mexico with President Enrique Peña Nieto. The possible deportation of non-Mexicans to Mexico was not on the initial agenda until at least Tuesday evening. However, Mexican Foreign Minister Luis Videgaray said Wednesday that new American immigration policies will be “the main point in the agenda,” according to Reuters. The American plan calls for Mexico to house asylum seekers caught illegally crossing the southern border until their petitions are adjudicated, granting them permission to come into the United States or forcing them to go back to their home countries. The idea is part of a raft of immigration proposals signed by Homeland Security Secretary John Kelly that are likely to spur international and legal challenges. Read the story. “I want to make clear in the most emphatic way possible that the government of Mexico and the Mexican people do not have to accept dispositions that one government wants to unilaterally impose over another,” Videgaray said. According to the memo, the U.S. even wants to build a video conferencing system in Mexico to allow asylum seekers to plead their cases in front of American immigration officials. The plan is attractive to the Department of Homeland Security, which doesn’t have enough detention space to house the current influx of asylum seekers. The relations between Mexico and the United States were chilly long before disclosure of the deportation plan. Earlier this month, Peña Nieto abruptly canceled a scheduled visit to Washington to meet with President Donald Trump, who has repeatedly insisted that Mexico will pay for construction of a multibillion dollar wall on the U.S. side of the border. Mexican officials have vehemently rejected that idea as well. In a briefing call with reporters on Tuesday morning, a DHS official said that implementing this statute was simply a plan to exploit the laws that already exist to their fullest extent. “If you enter the U.S. illegally, there’s a provision in law … that authorizes the department to put that person back into Mexico,” a DHS official, who also requested anonymity, said. Several immigration law experts said they had simply never heard or seen cases where this statute had been deployed. Jonathan Montag, a San Diego-based immigration lawyer who has written legal analyses about the statute, said he had only seen it used in a radically different scenario: to send to Mexico citizens of that country who had obtained green cards but were later convicted of crimes in the U.S.
Marcelo Rochabrun is a senior reporting fellow at ProPublica, where he covers immigration.